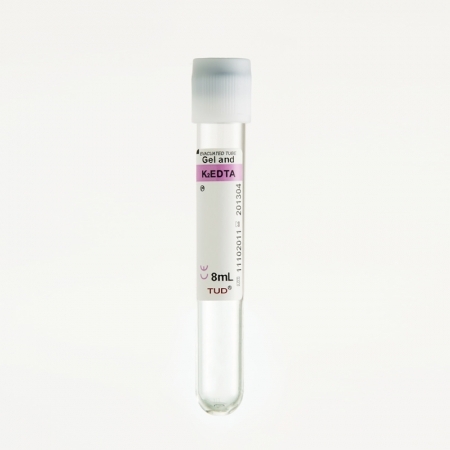 The interior of the TUD K2EDTA Gel tubes is coated with K2EDTA. EDTA binds calcium ions and blocks the coagulation cascade. These tubes, which upon centrifugation separate undiluted plasma, are used for testing plasma in molecular diagnostics and viral load detection.